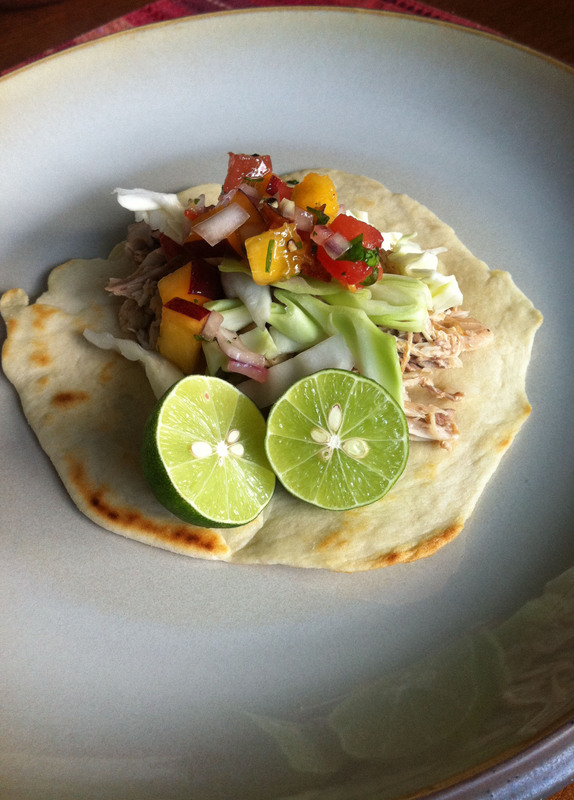 I thought I would make this taco recipe for a change from last weekends fourth celebrations of grilling burgers, and hot dogs, albeit tasty, I wanted something refreshing. I love grilling and spending the day outside smelling the aromas of great food in the air. But sometime I want to bring it inside on a day that is not too hot to make a favorite summertime dish of mine. Chicken tacos can be so versatile from how you prepare the chicken, to the condiments, and salsa you use. I wanted something light and refreshing to go with the old school traditional boiled chicken taco. It reminds me of a taco I love from Sacramento where I grew up. Yes, I am from Mexico, and I love tacos from there too, but they are different. This particular type of boiled chicken, with garlic, and fresh tomatoes brings me back to Garibaldi on Howe Ave. I love so many things from that restaurant, each for different reasons. And their chicken is amazing, seasoned to perfection. So this on is a take on that. If you live in Sacramento, I suggest yo go try Garibaldi. It is a wine, but if you this recipe will be like you are sitting on the patio at their restaurant enjoying the evening sun in a hot city, but always with a breeze to cool you off,if for just a moment. 1. Put the water in a large stock pot, bring to a boil. Add the bay leaves, paprika, salt, chili powder, onion, garlic, tomatoes, and chicken last. 2. Cover, and let simmer on medium heat for about an hour. 3. Strain the broth, and remove the bay leaves. Let the chicken cool off, then shred. 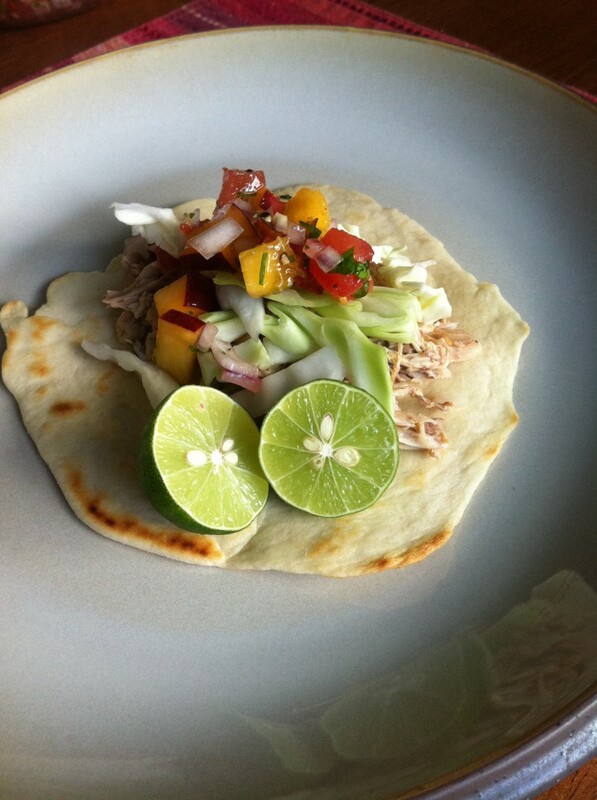 Flour tortilla, chicken, peach salsa, cabbage, and that is it! Just look at the recipes for the tortillas, and salsa to make you meal complete! Any kind of tortilla and salsa would be great too! You could make a soup! Just add vegetables and chicken.